A year after the Union government launched the Pradhan Mantri Fasal Bima Yojana (PMFBY) and Restructured Weather-based Crop Insurance Scheme (RWBCIS) in April 2016 to enable farmers tide over chronic crop losses due to various calamities, it clearly emerges that the insurance companies, despite collecting huge premiums, have not been able to settle insurance claims. 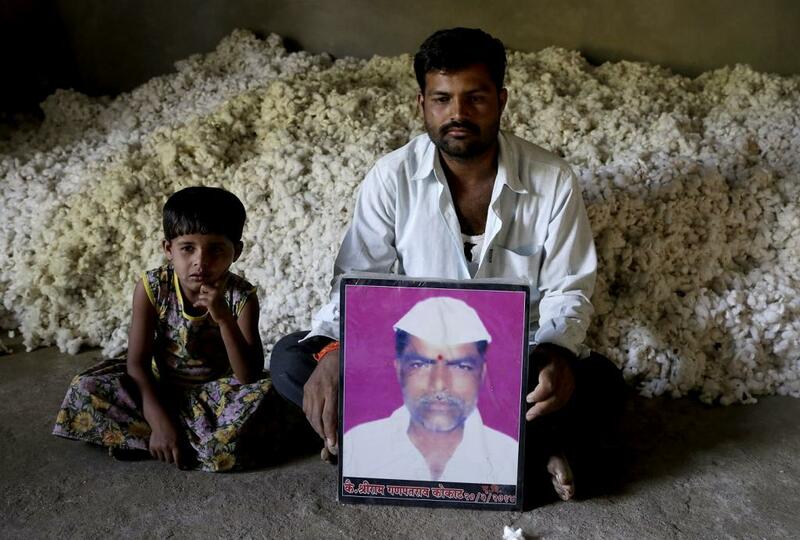 A closer look at the schemes shows that the ambitious schemes have been of little help to the distressed farmers. In fact, insurance companies seem to be the actual beneficiaries, says an analysis carried in the State of India's Environment 2017: In Figures, released on the World Environment Day (HYPERLINK) by the Centre for Science and Environment and Down To Earth magazine. This annual publication is India's most credible data-driven annual statement on state of environment and complements the annual State of India's Environment published in January every year. These two schemes, which plan to cover 50 per cent of cropped area by 2019, already cover 30 per cent of the cropped area and are implemented in 21 states. Close to 39 million farmers were covered under these schemes in the Kharif season of 2016. Currently, 10 general insurance companies are offering crop insurance under the PMFBY. While insurance companies have collected Rs 9,041.25 crore as premium (for Kharif 2016 only), it has paid just 25 per cent (Rs 570.10 crore) of the total claims made (Rs 2,324.01 crore). According to this analysis, insurance companies under PMFBY and RWBCIS have so far honoured just 17 per cent of the total claims raised during the 2016 Kharif season. 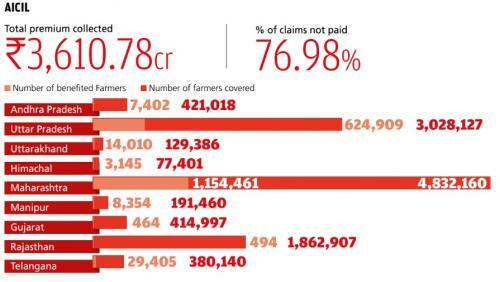 There were insurance claims of Rs 4,270.55 crore under the two schemes, according to the Ministry of Agriculture and farmers’ Welfare as has been quoted in the new report. Out of the total claims, only Rs 714.14 crore has been paid to farmers by March 2017. Under the PMFBY, only one company, Universal Sompo GIC (operating only in Karnataka) has settled all insurance claims. The rest have failed to achieve this level. Four out of 10 companies mentioned in the report have not settled up to 75-100 per cent of insurance claims. IFFCO-TOKIO, which is operating in three states including drought-hit Maharashtra, is yet to pay over 86 per cent of the claims by March 2017. “Most of the insurance companies show very discouraging performance in disbursal of insurance claims,” says Kiran Pandey, one of the data analysts for the State of India's Environment 2017: In Figures and a programme director with the Centre for Science and Environment.